Alexa is a California based company that provides Traffic Data, Global Rankings and other data of more than 30 million websites. It provides both, Global and Regional rankings of a website. 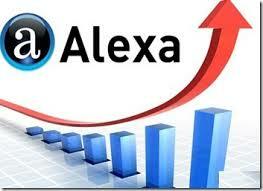 Alexa rank is a crucial fact to determine that traffic and activeness of any blog or website. The less alexa rank of your blog/site will attract more advertisers and you can make a good amount of money. It will also incrase the exposure of your blog. Although, there are a lot of factors that improve your alexa ranking but first, you have to add it's official widget to your blog. Let me show you some benefits of alexa widget. 1. It increases your blog's exposure. 2. It attracts advertisers if you have a low rank. 3. It shows the popularity of your blog. Now, If you managing a blog on blogger and don't know how to add a alexa widget to you sidebar then this post is for you. In this post, I am sharing the simple steps to add alexa ranking widget to your blogger footer or sidebar. So, follow the simple steps and do it. It will hardly take 3 minutes to add the widget to your blog. Lets do it. 1. First of all, Log in to blogger and select your blog. 2. Now go to layout and select Add a Gadget where you want to add the alexa widget. 5. Save it and you are done. Your alexa ranking will appear with the widget on your blogger's sidebar as soon as you will add it. Its highly recommended to add a alexa ranking widget to improve your rankings. So, that's all under implementing alexa ranking widget to your blog. I am sure you got the steps without a problem. Share it with your friends and blogger mates. Happy blogging!